FALSE. 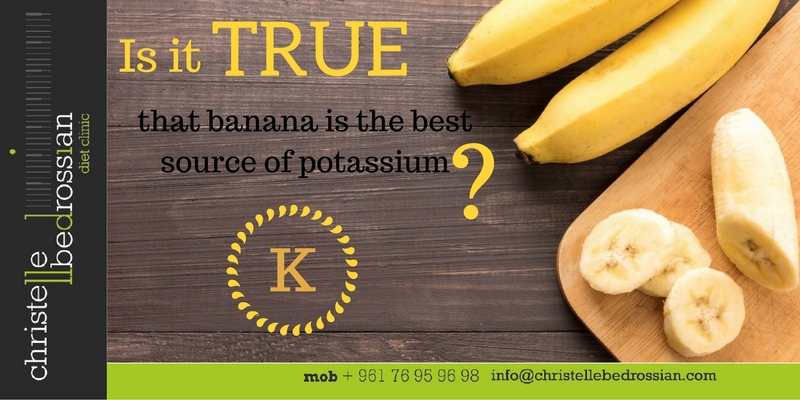 While bananas are known to be an excellent source of potassium, with 420 mg, other foods can have even more, such as: winter squash 896 mg, medium sweet potato 694 mg, fat-free yogurt 580 mg, orange juice 500 mg and broccoli 460 mg. A potassium-rich diet helps control blood pressure. The goal is 4,700 milligrams a day. (Next Entry) Is It True That Eating Fatty Foods Make You Fat?